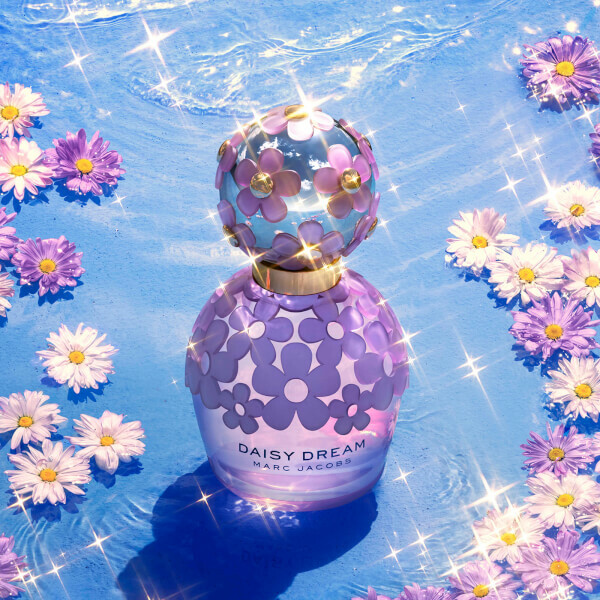 A sparkling reinterpretation of the classic perfume, the Marc Jacobs Daisy Dream Twinkle EDT combines fresh juicy notes with delicate floral accords to create a vibrant, luminous fragrance. Expertly blending ripe Black Cherry with a bouquet of white flowers and whipped Berry Mousse, the feminine eau de toilette is inspired by the dazzling sunshine and luscious blue skies associated with Springtime. Housed in the brand's signature bottle with decorative daisy detailing. Heart Notes: Fresh White Floral Accords. Base Notes: Whipped Berry Mousse.